MIAMI, FL, Sporting Alert – Here is the Argentina 23-man final team roster for the 2016 Copa America tournament in the United States from June 3-26. There are doubts over whether Lionel Messi will be available for the start tournament, after the Barcelona forward left last Friday’s friendly international contest against Honduras in the 64th minute with back pains. It was later revealed that he has suffered from a deep lumbar hematoma. The 28-year-old revealed this week that those pains have been slowly decreasing, but it is still uncertain as to whether he would be ready in time for his country’s opening group match against Chile on June 6, which is a rematch of the 2015 Copa America final. Also included in the star-studded Argentine squad are Manchester City forward Sergio Aguero, Napoli FC’s Gonzalo Higuain, Nicolas Gaitan of Benfica and Paris Saint-Germain attacker Angel Di Maria. The heavy weighted midfield list includes Barcelona’s Javier Mascherano, Sevilla Ever Banega, Lucas Biglia of Lazio and Javier Pastore of Paris Saint-Germain. English Premier League defenders Nicolas Otamendi of Manchester City and Marcos Rojo from Manchester United are also listed in the squad, with Manchester United backup keeper Sergio Romero also securing a place. Missing out are Geronimo Real Sociedad goalkeeper Geronimo Rulli, Enzo Perez of Valencia, Boca Juniors forward Carlos Tevez, defender Ezequiel Garay of Zenit St. Petersburg and Manchester United centre-back Martin Demichelis. 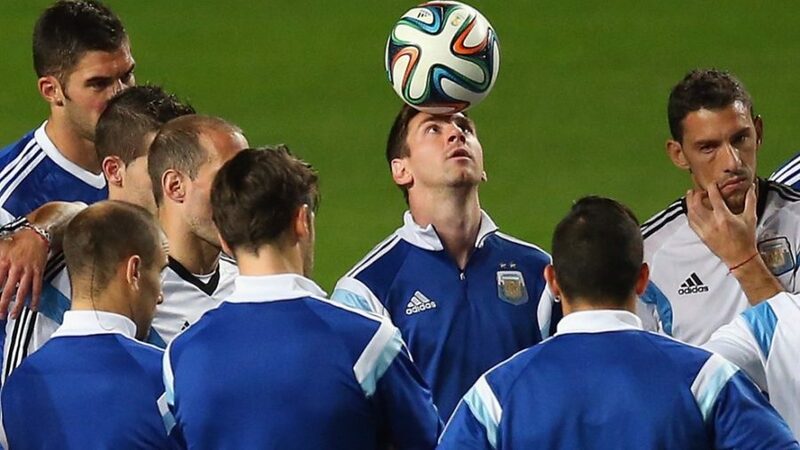 Argentina will play in Group D of the tournament against with Chile, Bolivia, and Panama.